Here at Clive Emson, we are delighted to be offering a number of Lots that together make up the wonderful English Wine Centre and Cuckmere Barns. There are five lots in this leisure, retail and hospitality premise set in the beautiful Cuckmere Valley in East Sussex. The properties are within the South Downs National Park and overlook the breathtaking natural beauty of the South Downs. The buildings comprise of a wine retail shop with a restaurant, a detached function venue with luxury en-suite letting facilities, and a thatched cottage. The 0.89 hectare (2.24 acre) site also has extensive parking and storage facilities and there is potential for the building to be turned into residential accommodation, subject to all necessary consents obtainable. In addition, the seller may consider including fixtures and fittings for sale by negotiation. The English Wine Centre was established in 1972 and has been successfully run by the present owners from January 2008 until their retirement last year. 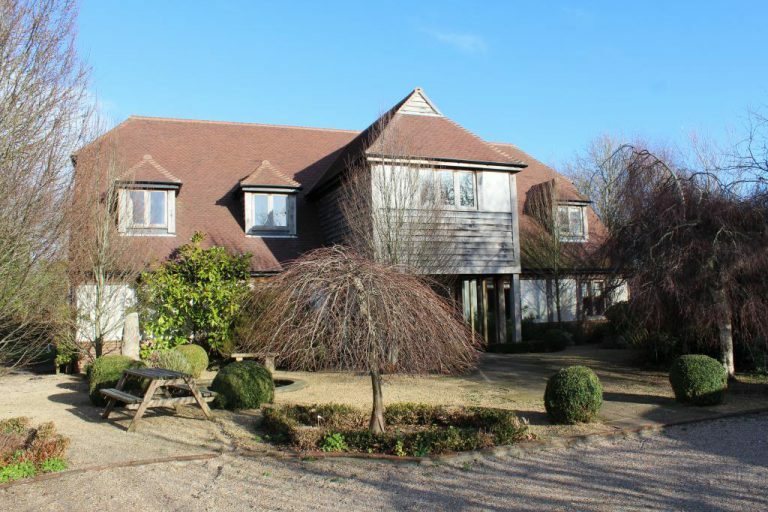 Its location on the Alfriston Road between Lewes and Eastbourne lying just off the main A27, gives it excellent road links to surrounding areas via the A27 and A22. While Berwick railway station, just over a mile away, offers links to Lewes, Eastbourne, Brighton, Gatwick and London mainline railway stations. The Green Oak Barn’s ground floor has an entrance lobby, reception/function room with a bar and seating for around 90 people, ladies and gentlemen’s toilets, and a fully fitted catering kitchen and lift designed specifically for disabled guests. The Green Oak Barn site measures 0.24 hectares (0.6 acres). On the first floor, there are five double bedrooms with en-suite facilities and panoramic views over the valley and the Downs. Landscaped gardens designed by an award-winning Chelsea Flower Show judge and a driveway with parking for multiple vehicles can be found outside. 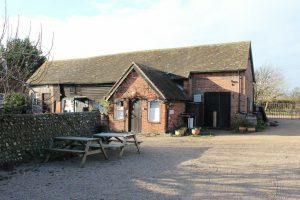 The Flint Barn extends to 0.18 hectares (0.44 acres) and offers a large retail space that includes a trade kitchen leading to a restaurant with 25 covers, and storage and utility areas. There are also steps that lead to a spacious loft area that could be converted for residential purposes. Its detached stable block houses an office, two store rooms and ladies and gentlemen’s toilets; while outside there are enclosed seating and parking areas. There is also a small piece of land to the south of the barn included within the sale. 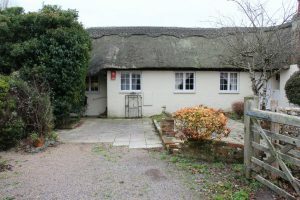 The Barn Cottage has been sold prior to auction. 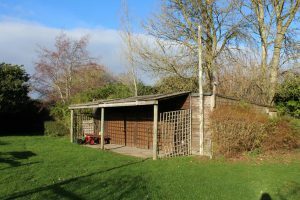 The Pavilion is a detached wooden building with a covered decking area. It is currently mainly used for storage and extends to 0.12 hectares (0.31 acres). The Oak Barn includes an open plan function room with adjoining bar and doors that lead through to the marquee which has a seating capacity of 150. The barn is licensed for wedding ceremonies and also makes a perfect location for birthdays, anniversaries and other special occasions. This is a not-to-be-missed opportunity to own your own converted barn or three! The properties will be going under the hammer at our Sussex and Surrey auction at The Hilton Metropole in Brighton on 6 February. For more information about this or any other property you like the look of, or to book a viewing, please do not hesitate to contact our team that will strive to answer any questions you might have!